There is a tradition of public service in Spanish Ambassador to Japan Gonzalo de Benito’s family. His father and grandfather were in the military, and his three daughters are all public servants. 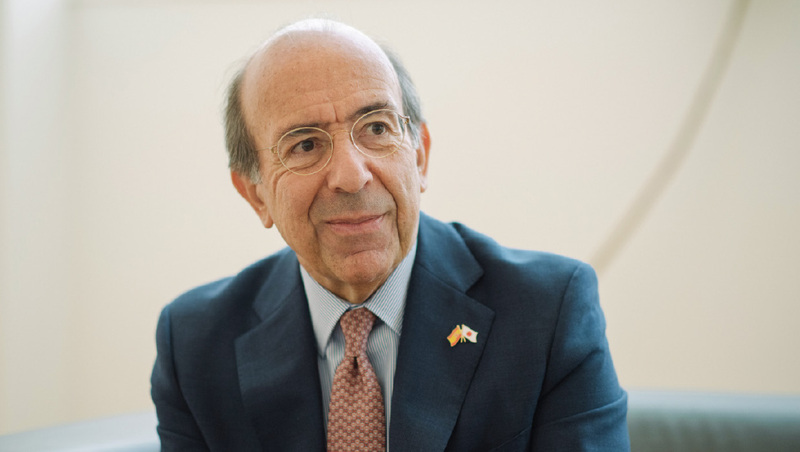 Ambassador de Benito has served his country, promoting Spanish interests and values abroad, as ambassador to Peru, Switzerland and the United Arab Emirates. 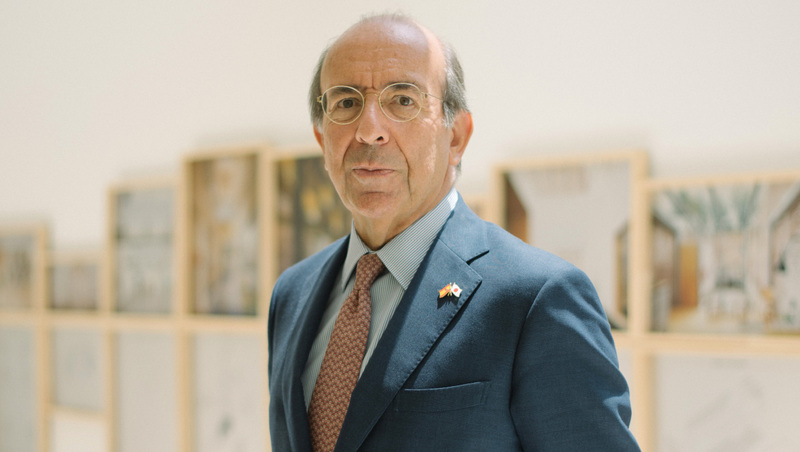 He was Spain’s secretary of state for foreign affairs for three years before being posted to Japan as ambassador in November 2014. Next year, he celebrates 40 years in the foreign services. Can you tell me about your time as Spain’s secretary of state for foreign affairs? I was secretary of state from 2012 to 2014. It was a difficult time because we were going through a deep economic crisis. When our government assumed office at the end of 2011, we had a public deficit of around 10% and 27% unemployment. While I was there, some very strong economic reforms were made, including structural reforms and fiscal consolidation. Now the economy is much better; we have been growing annually at about 3% for three years in a row. It is the fastest-growing economy among the larger European countries. At the same time, I was responsible for the campaign to obtain a non-permanent member seat at the UN Security Council for Spain. I had to travel all over the world to explain our candidacy and promote support for Spain, and we obtained our seat on 16 October 2014. It was a great satisfaction for us. What were some of the highlights from the visit of King Felipe and Queen Letizia to Japan last April? A state visit to Japan is always very well organised and very impressive from all points of view. During the three-day trip, they met with the Emperor [Akihito] and Empress [Michiko], and Prime Minister [Shinzo] Abe. We had a big business meeting with 450 people attending from a couple hundred companies, and then there was a science and research meeting at the Miraikan museum. On the last day they visited Shizuoka, where there is a symbol of the special relationship between Spain and Japan. It’s a table clock, which was offered by King Felipe III to Shogun Tokugawa Ieyasu in 1611, as a gesture of thanks for having saved Spanish sailors shipwrecked off the coast of Chiba. The original of this clock is at Kunozan Shrine, and Their Majesties visited Shizuoka with the Emperor and Empress in recognition of the friendship between the two nations that began in the early 17th century. It’s still working, and they wind it up for special occasions. It’s the oldest European clock in Japan. This year marks the 150th anniversary of diplomatic relations between Spain and Japan. How is this being celebrated? The embassy has composed a programme of 44 cultural and institutional events in 14 cities across the country. This started here in Tokyo in January with the Prado exhibition, called Velázquez and the Celebration of Painting. It’s a wonderful exhibition, which is now in Kobe until October. There will also be the exhibition Women & Women, featuring works by five Spanish female photographers, which starts in Nagasaki on 28 July. We have organised 11 flamenco guitar concerts in September by the great guitarist, Cañizares, who is the most popular in Spain right now. We want to make Spain and Spanish culture better known in Japan and give the public more opportunities to attend events like these. This year, we will also update the agreement that is the framework of the bilateral relations between Japan and Spain, called the Association for Peace, Growth and Innovation. What is this agreement and why does it need to be updated? This was the first time the prime ministers of both our countries adopted a declaration designed to strengthen our relationship: to exchange more information between our governments and to cooperate more in international institutions and on foreign policy as two like-minded countries. It is also to promote more trade, investment and tourism, as well as to increase scientific and research cooperation. This five-year programme, adopted in October 2013, comes to an end this year. We expect to do something more ambitious for the next five years. Several agreements were signed in different sectors last year, on the occasion of the state visit of Their Majesties, in a ceremony at Akasaka Palace. One was between both ministries of economy to have a regular economic dialogue. Another was on tourism to promote reciprocal travel. There were also other agreements on sports, to exchange trainers and expertise in this sector; on science and research; and a working holiday agreement to promote visits of students to both countries. How are you cooperating with Japan in sports? An example of this is our High Perfor-mance Centres. Spain, 30 years ago, was very poor in sports. Now we are good at tennis, soccer, swimming and others. These High Performance Centres were created after the  Olympic Games in Barcelona. This is where our athletes train from a young age. It is an area of expertise we want to share with the Japanese authorities. We have also signed several agreements looking forward to 2020. There were several proposals from Japanese cities to host Spanish teams to train ahead of the Olympic Games. The Spanish swimming team is already training in Yamaguchi, the table tennis team has been assigned to Shizuoka, and the sailing team will be in Kanagawa. How have bilateral relations been changing over the past few years? In just a few years, we have significantly increased our exports to Japan. 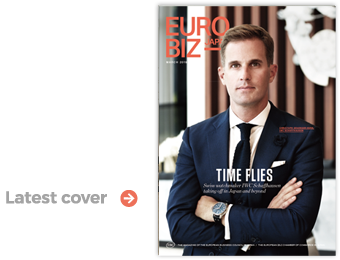 Because of the structural reforms in Spain, Spanish companies have had to become more competitive and adjust their structures to be more international. The three sectors that have benefitted most in the last few years are the automobile sector, foodstuffs and fashion — almost everyone here knows the Zara brand, for example. There has been, as well, major growth in tourism over the last four years. Last year, Spain saw 601,000 visitors from Japan. And nearly 100,000 tourists from Spain came to Japan. It is partly a result of Iberia’s new direct flights between Tokyo and Madrid. I think there’s real interest for Spanish culture here, and in Spain, everyone wants to come to Japan and visit. We are pleased. But more can be done.